The development of preventive medicine by interventions before the patient even becomes ill, of personalised and predictive medicine through the management of big data, DNA sequencing that will enable adaptive treatments, and relationships between doctors and hyper-connected and informed patients … the healthcare of the future will be digital and will radically change the current ecosystem. The digital hospital will also change current relationships between hospitals and society in general. To avoid spending thousands of euros on hospital admissions, the idea is to spend less time in hospital. The role of the hospital will therefore evolve and be increasingly based on diagnoses and interventions. This will mean improved levels of patient comfort and reduced social security costs. A new type of healthcare is beginning to take shape that is focused on the “coordination” of new professions and smart devices around the patient, and on the involvement of patients and their loved ones. Attitudes are also changing: the prevailing idea is for patients to become “an actor in their own follow-up”. Patients will get help to manage their conditions: diabetes, respiratory or cardiovascular disease, obesity or cancer. Currently, all healthcare actors operate in the digital world – hospitals, doctors’ surgeries and most patients. are also mobile and have become so by using their own equipment or that supplied by the institution. The challenge is now to transform practices around digital technology. The appearance of sensors on machines and products enables a substantial amount of data to be collected. 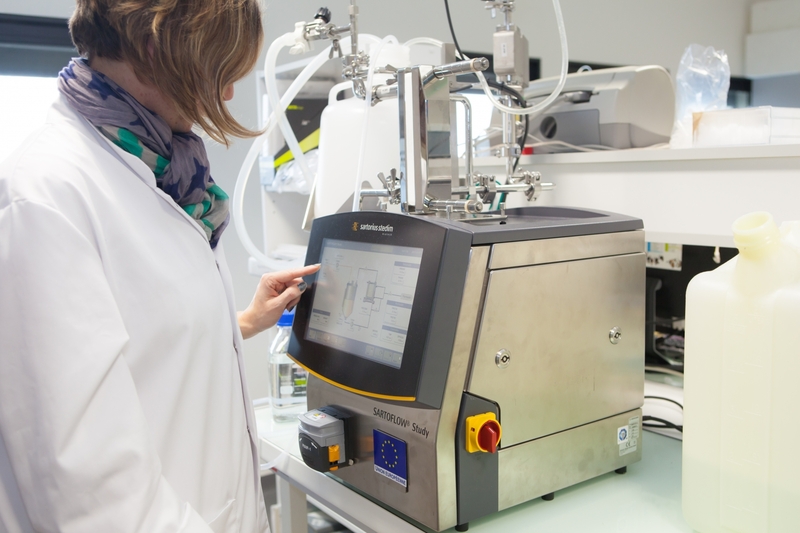 With good processing and analytical tools, this data will allow production lines to be optimized by identifying specific problems that arise and also to enhance knowledge on consumer habits and preferences, etc. Bioinformatics is a research field that analyses and interprets biological data with algorithms and statistical, hybrid or discrete models, to classify and understand these data, therefore allowing researchers to make new scientific discoveries. Such discovers may, for example, result in the establishment of new, more effective medical treatments. 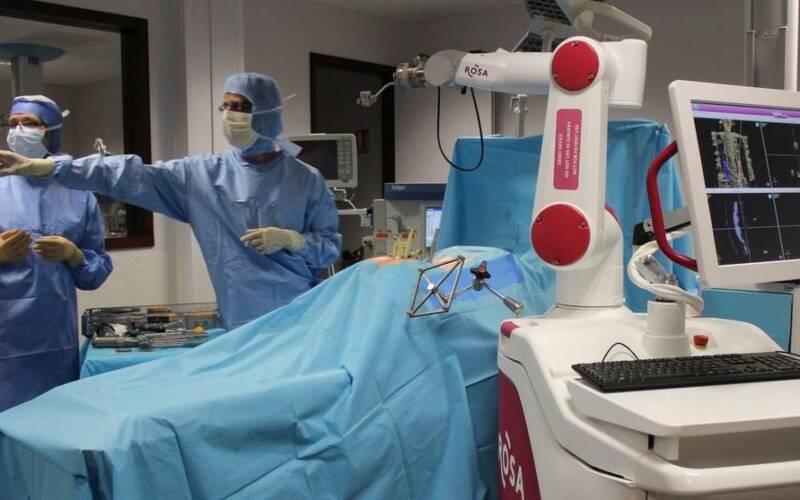 Precision robotics allows robots to be designed and created that will help doctors – surgeons in particular – to improve accuracy (neurosurgery) and/or to carry out less invasive operations. Robots can also be used for patient physiotherapy by using a robotic health aide to help their rehabilitation. Lastly, robotics will enable prosthetics to be created that are more functional and that work more naturally. In the field of health, modelling and simulation are predictive tools that help the actors in this domain to understand biological phenomena, come up with experiments, or even remove themselves from real-world experiments to carry them out “in silico”. These tools are also useful for training future doctors. Healthcare institutions and hospitals in particular need an IT system that allows them, in accordance with predefined rules and operating procedures, to collect, evaluate and process data with ICT and organisational tools, distribute value-added information to internal/external partners, participate in a collaborative project with a specific goal, namely, patient treatment and recovery. The development of smart devices and the internet of things will allow the behaviour of people and things to be monitored, potentially in real time, and will therefore complement diagnostics with the analysis of information collected by networks and sensors. These tools will be essential for the development of telemedicine and eHealth or mHealth. One of the major challenges in healthcare is to ensure that the collected data generated by smart devices and IT systems remain confidential and the property of the patient. The development of digital technologies in healthcare cannot reach its full potential without users being confident about the security of their health data. The cloud is already widely used for software and data management. The growing interconnectivity between production sites and company departments requires the sharing of large data sets, a process that the cloud has made a lot easier. This technology raises many hopes. Beyond prototyping, additive manufacturing already enables the production of small batches of complex and replacement parts, and even customized products. With fully developed technologies, the speed and precision of the printing will mean increased and large-scale production. This aims to provide real-time data on repair techniques for parts, by making this information available on augmented reality glasses, for example. These technologies can also be used for training, or to make design stages more realistic so that more people can get involved.